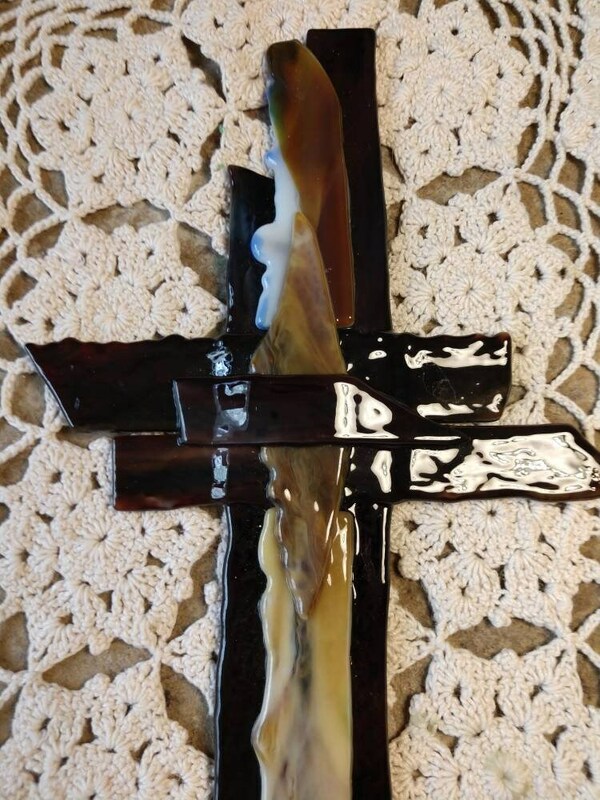 This beautiful stained glass cross is made from multiple layers of fused glass in earth tones. It is ready to hang on the wall. 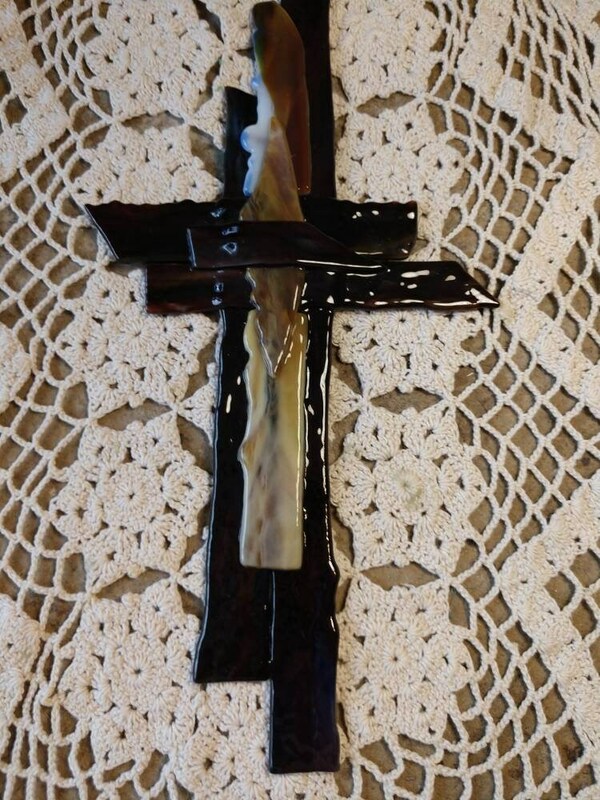 This cross measures 12 inches in length.